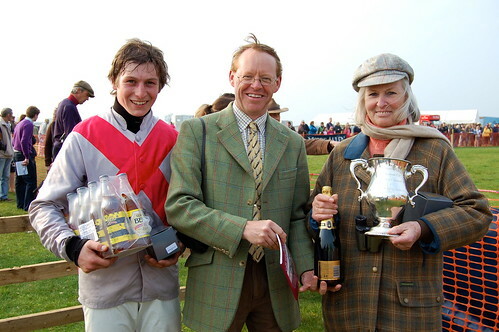 Racehorse Needs Time failed to live up to his name when he romped home in the fifth race of the Siddington Point-to-Point on Saturday (March 26). The 7-4 favourite needed anything but time, leading from start to finish in The Pegasus Cup Members Race, sponsored by Cirencester estate agent Moore Allen & Innocent. It was no easy run, however. 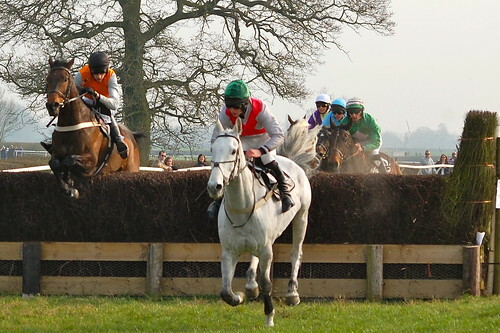 The grey gelding stepped on the second to last fence before diving left at the final hurdle, but was pulled back on track by jockey Richard Spencer, who won his second race of the day after leading Sheknowsyouknow home to victory in the third race – The Mixed Open. The lack of rain limited the number of runners, but drew a bumper crowd of racing fanatics and families alike. Champagne picnics served from wicker baskets were the order of the day as racegoers enjoyed the warmest weekend of 2011.